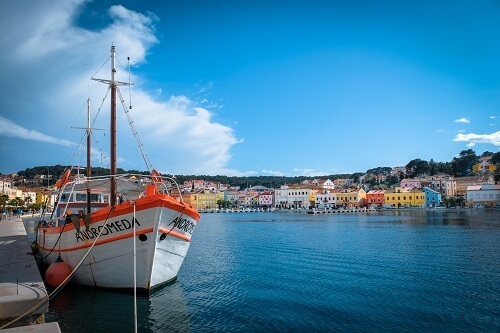 Croatia and its coast has been getting more and more popular for travelers who enjoy island hopping and with that beautiful beaches, picturesque old towns and clear water. And the Croatian islands offer exactly that. 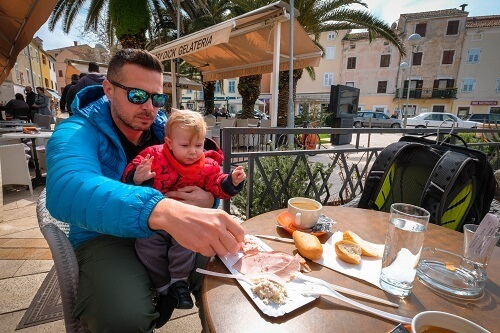 So far Simon was the one, who spend lots of their summer breaks on different Croatian islands and I am the one, who is discovering them now with him and our toddler Ren. Apart from previously visited the Rab Island and Krk Island, we decided to spend this Easter break on the Lošinj island, where we were based in the town of Mali Lošinj. 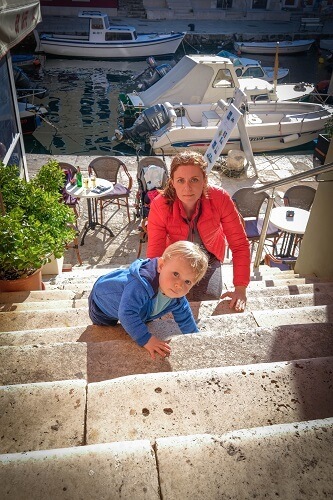 Believe it or not, but if it was not for our 15 months old Ren, we would probably not visited Lošinj Island yet. 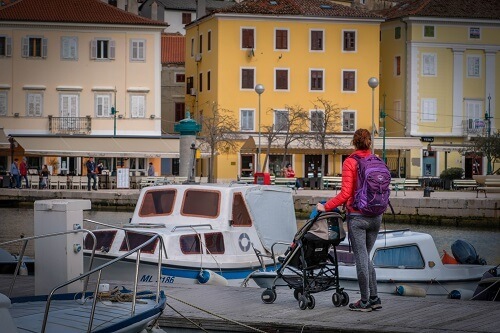 But because Mali Lošinj is known to have great natural health climate for different kinds of diseases – especially the ones connected with respiratory problems, we almost needed to end up here. This year’s winter was really though for Ren as he had bronchiolitis with pneumonia twice in two months. 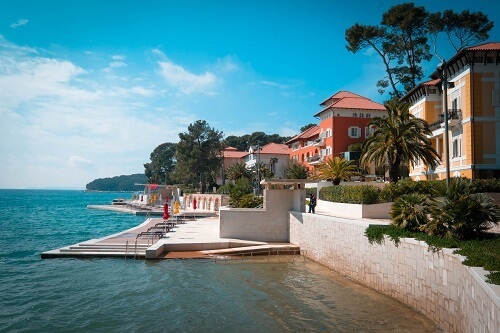 And that is exactly why we have decided to do a short family trip to Mali Lošinj. 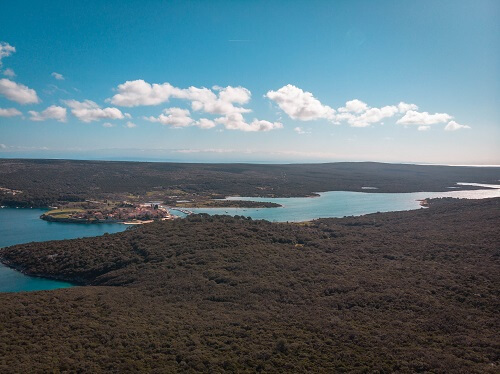 While spending time in Mali Lošinj, we of course could not last long without any exploration, which showed us how beautiful Lošinj Island really is. 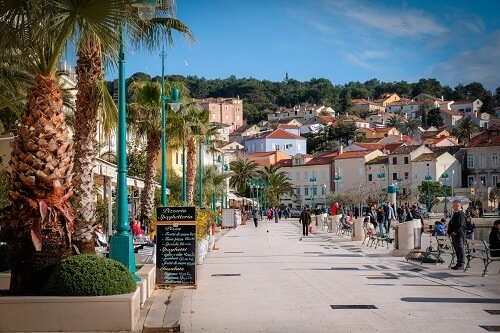 Mali Lošinj has such a beautiful coastal promenade to enjoy. If you will be based in the town, you will for sure walk there every day – at least in the evenings. The promenade is full of cafes and restaurants, but for the best coffee in town, make sure to find the Bueno café. The promenade is a pedestrian zone and wide enough for kids to enjoy as well. They can ride their bikes there, use their skate boards or learning to walk, what our little traveler did. 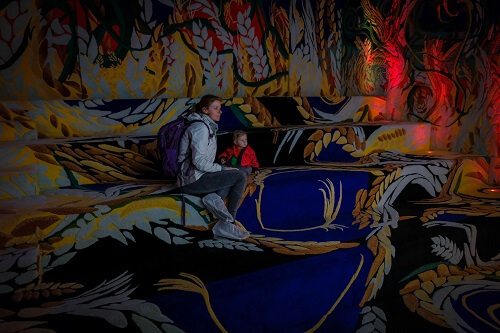 During the hot summer day or on a rainy day, a visit to museum is ideal. One of the most popular museums in Mali Lošinj is the Apoksiomena museum, opened in 2016. 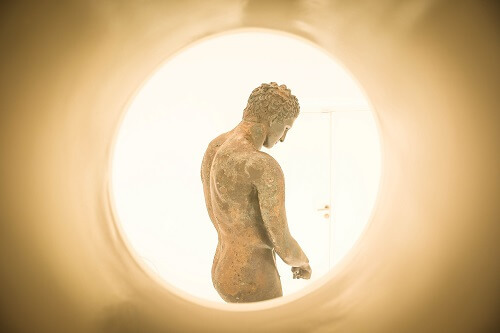 Its design is already appealing, but the main thing is the bronze statue of Greek athlete, which was found in the deep waters around Lošinj Island. Čikat has been recognized as a natural health area ever since 1892, when Franz Joseph, Austro – Hungarian Emperor, officially declared it as one. 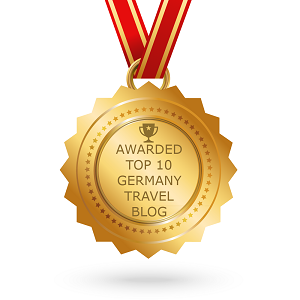 Staying there once a year for at least 2-3 weeks, is scientifically proofed, to help you with lung and respiratory diseases. 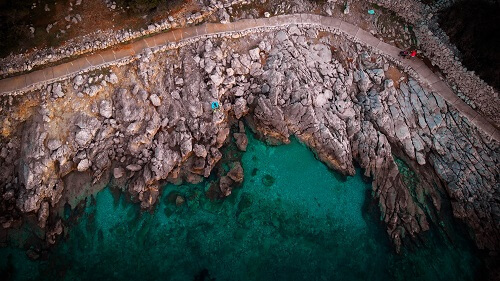 Not just Mali Lošinj, but the whole Lošinj Island and its surrounding islands can offer more than 220 kilometers of maintained coastal walking and cycling paths. Make sure to have your camera ready as the views are breathtaking. If you like to explore the islands from the water surface, try kayaking or stand up paddling. 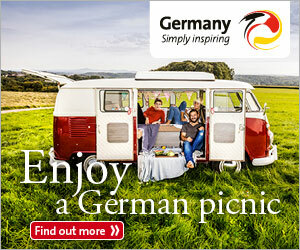 If you feel this is a bit too active for you, you can book a boat trip as well. 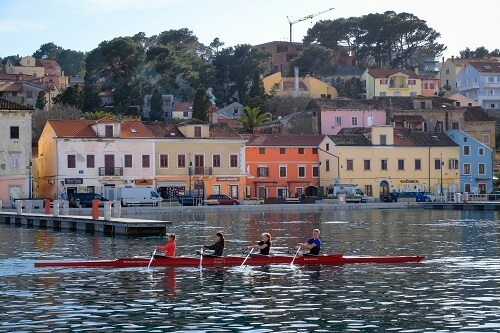 Lošinj Island offers so much more than beaches and the sea. 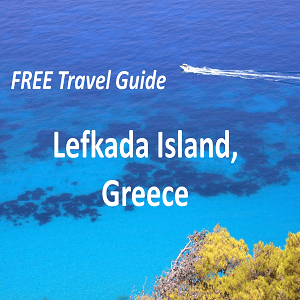 It has some great hiking paths, including with the island’s highest peak Televrin, reaching 588 meters above sea level. The path to the top is also great for mountain biking. We decided to hike up there next time. If you’ll be on Lošinj Island long enough, you should also take a trip to the Cres Island. Both islands are connected with a short bridge, so it is very easy to come from one island to the other – especially if you’ll be renting a car or a scooter. Lošinj Island with Cres Island, so make sure to make a stop there too. It is nothing unusual if you’ll spot dolphins along the coast of Lošinj Island. In fact, there are special boat trips for dolphins spotting, if you are interesting in seeing some. 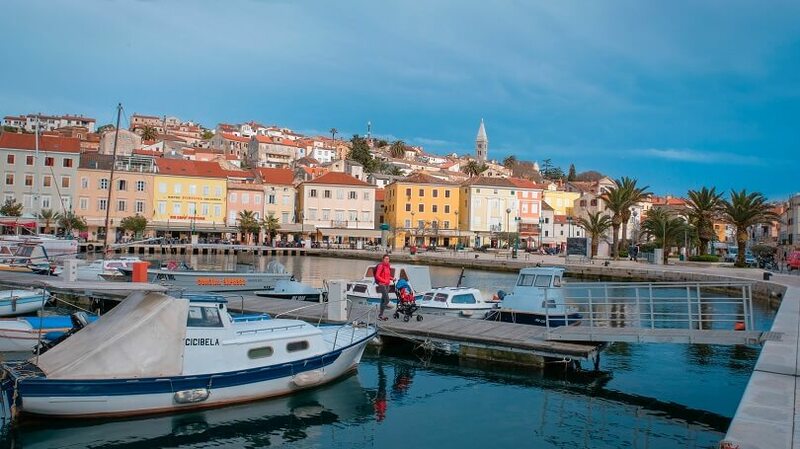 Most people we talked to, said Mali Lošinj is their favorite town at the Lošinj Island, but if you ask us, we put a shine on Veli Lošinj. Veli Lošinj is a small coastal town with colorful old buildings, a small domestic marina, church, cafés and few taverns / restaurants for traditional lunch. 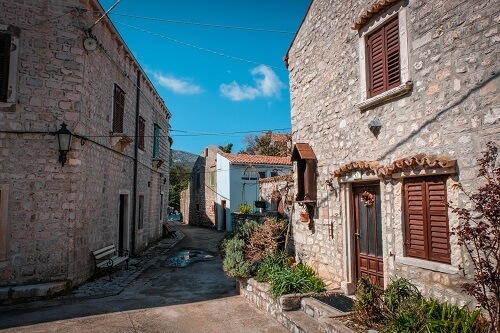 If you enjoy smaller towns, make sure not to skip Veli Lošinj. A nice way to reach it is a coastal walk from Mali Lošinj. 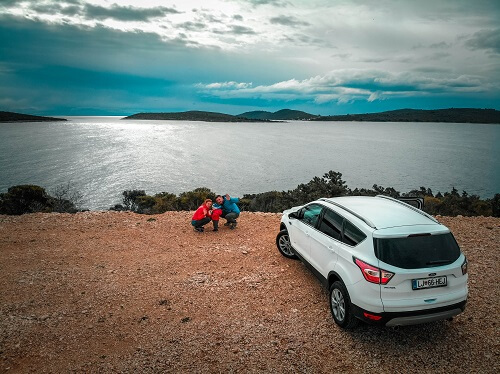 We had only 4 days to explore the Lošinj Island, what with no doubt was way to little to really enjoy everything the Lošinj Island is offering. I sure hope we will end up here again soon, as there are still many coastal walks where our body and mind will enjoy. 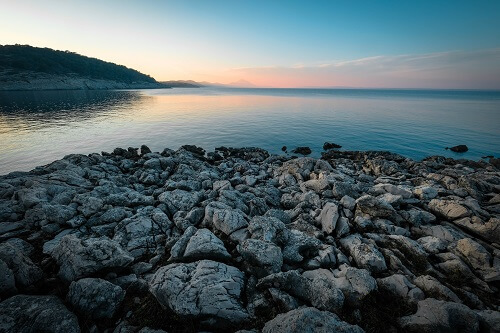 The Lošinj Island has numerous possibilities for accommodations – you can choose camping, apartments, family run pensions and B&B or luxurious hotels like Hotel Aurora, Botique hotel Alhambra, Hotel Bellevue or a Family hotel Vespera. If you like to be closer to nature but don’t want the traditional camping, you can even stay at the neet Lošinj Glamping Tents or in the mobile homes at the Čikat camping ground. For our first visit, we have decided to rent an apartment. The apartments Tisa were nice with good walking distance to the Mali Lošinj promenade and had even one coastal walk very close by. The apartment was clean with A/C, the kitchen had great equipment with good quality appliances (incl. dish washer, fridge with freezer and washing machine in the bathroom). The apartment also had a free parking space and WI-FI. How to reach Lošinj Island? Even though the Lošinj Island is small, it has its own airport. So far you can fly there with Silver Air from some Croatian cities (Zagreb, Pula, Split) and from Switzerland as well (Lugano). 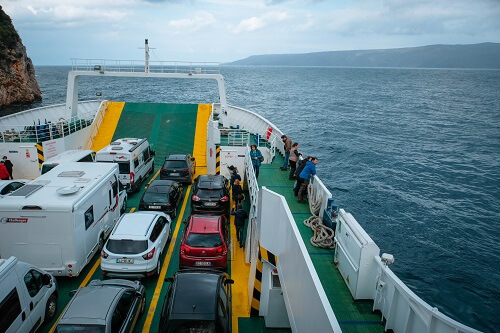 But you can also reach Lošinj Island overland by ferry ride from either Brestova town near Opatija, which will first take you to Porozine town at Cres Island. 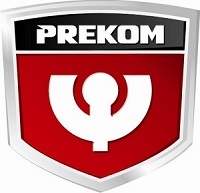 Or you can take a bridge to Krk Island and further on take the ferry at Valbinska to Merag at the Cres Island. In either way, you need to have a transport to Lošinj. If you ask us, the best option is to have your own car or you rent one already at the inland. Have in mind that you will need to pay a toll for the bridge to Krk Island from mainlad, but it is toll free from the island to the mainland.